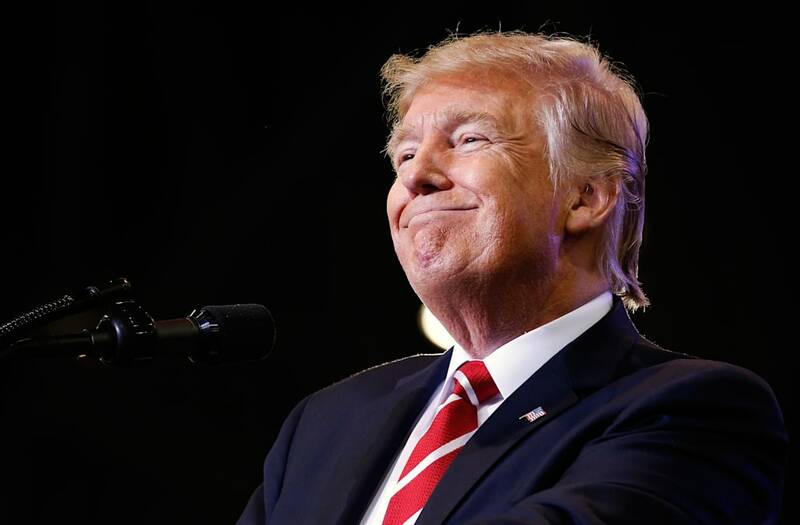 Talk of a possible Republican primary challenge to President Donald Trump has recently heated up, but as a Wednesday poll found, Trump could enter such a battle with a massive lead. Public Policy Polling, a left-leaning polling firm, polled Trump against Ohio Gov. John Kasich, Sen. Ted Cruz of Texas, and Vice President Mike Pence, and Trump held large leads over all three. 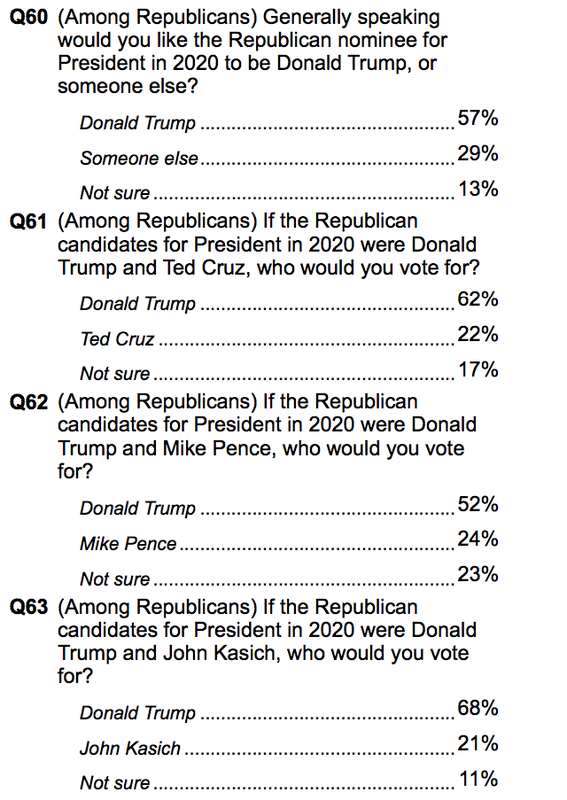 The survey also asked Republican respondents whether they would prefer Trump or someone else as their 2020 nominee — 57 percent said Trump while just 29 percent said someone else. Trump trounced Cruz by a 62 percent to 22 percent spread, topped Kasich by a 68 percent to 21 percent margin, and bested Pence 52 percent to 24 percent. While rumors of a potential Cruz run have not yet materialized, Kasich has hinted at making another bid for the presidency in 2020. Pence has strongly refuted any rumors that he is preparing for a 2020 candidacy just in case Trump is unable to run. Public Policy Polling surveyed 887 registered voters from August 18-21. The margin of error was 3.3 percentage points.